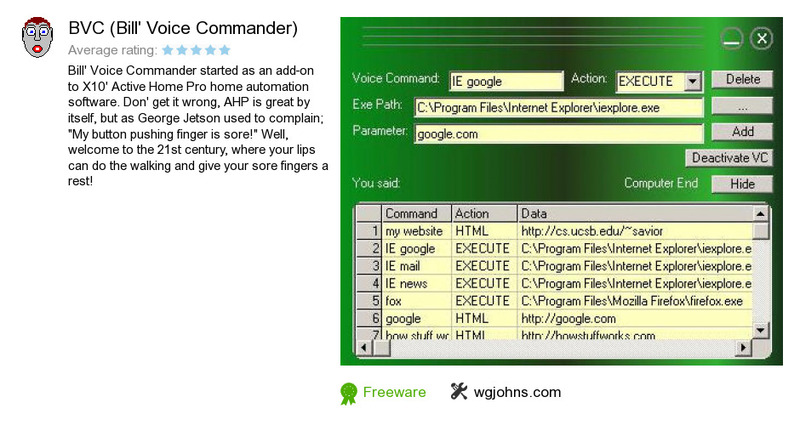 BVC (Bill's Voice Commander) is a software product developed by wgjohns.com. We know of versions 0.3, 0.2. Version 0.3 is downloadable at our site. BVC (Bill's Voice Commander) installation package has a size of 766,324 bytes.